Remembrance Day is a truly important time for me both personally and as an educator. My grandfather fought at Dieppe during WWII and was fortunate to survive. For years I have spent a great deal of time teaching about the importance of this day to my grade 7 classes. 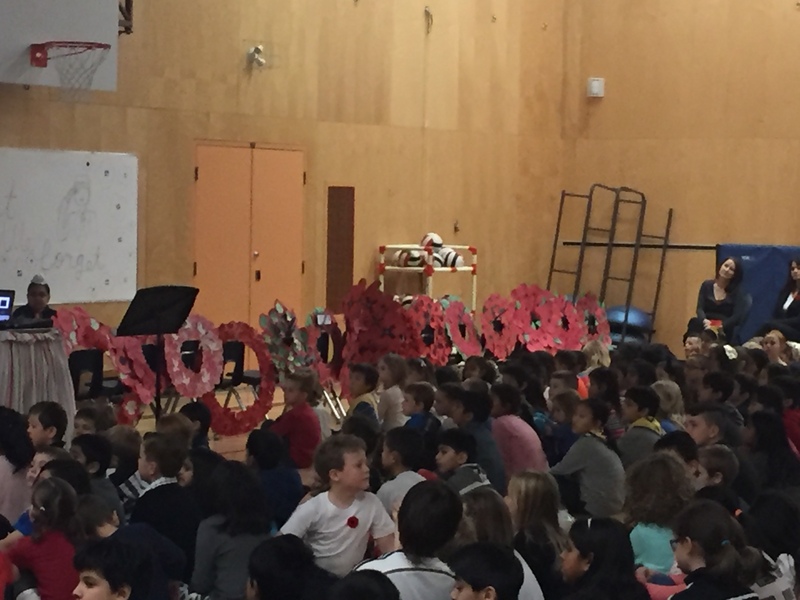 I have worried that students no longer have a personal connection to the significance of Remembrance Day. How wrong I was. Not so many years ago, I was talking with my students about this perceived lack of personal connection, when one of my students put his hand up at the back of the room and, when called upon, said these simple words: “My older brother leaves for Afganistan in February.” I was completely taken aback by his comment. How wrong of me to assume our young people today are unaffected by war. This was a life lesson for me. One I will never forget. Unfortunately, war is very much still a part of our daily life. With the horrific events that have taken place this past weekend in both Paris and Beirut we are reminded that war is still very much a part of our existence. While we talk about both past and present travesties of war with our students, our focus is ultimately to talk about peace and how we all need to continually work towards it for all regardless of colour, religion, or beliefs. 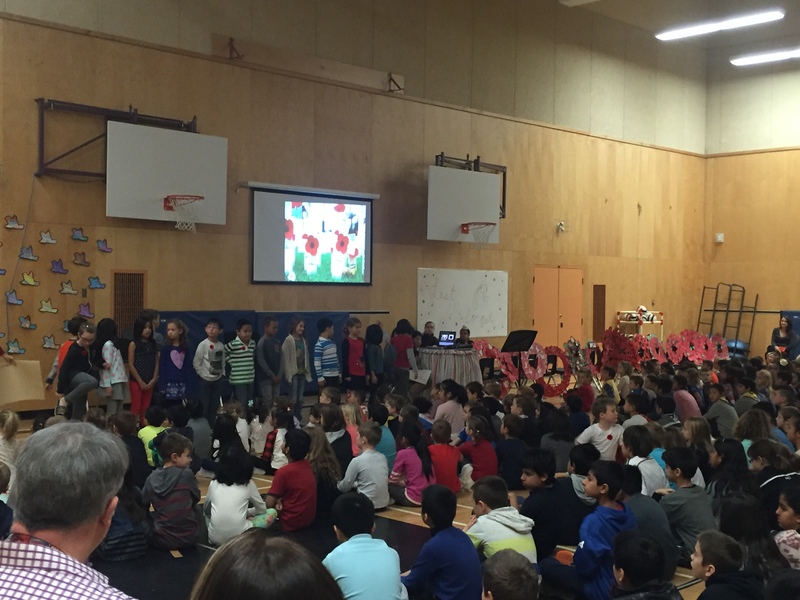 Our Remembrance Day assembly this week focused on lessons learned and our goal of peace. Lest we forget. 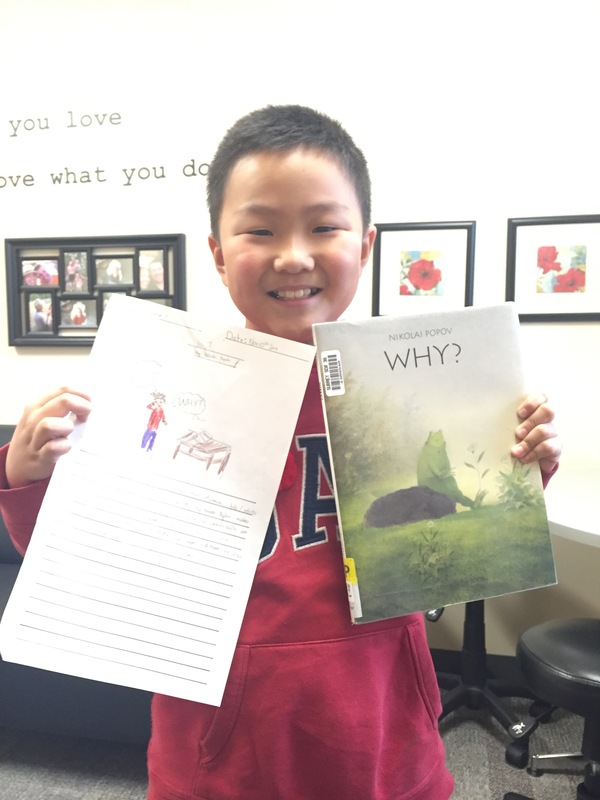 In grade three this week the class read a book about Remembrance called Why? Charlie shared his thoughts with me. I couldn’t have said it better myself. 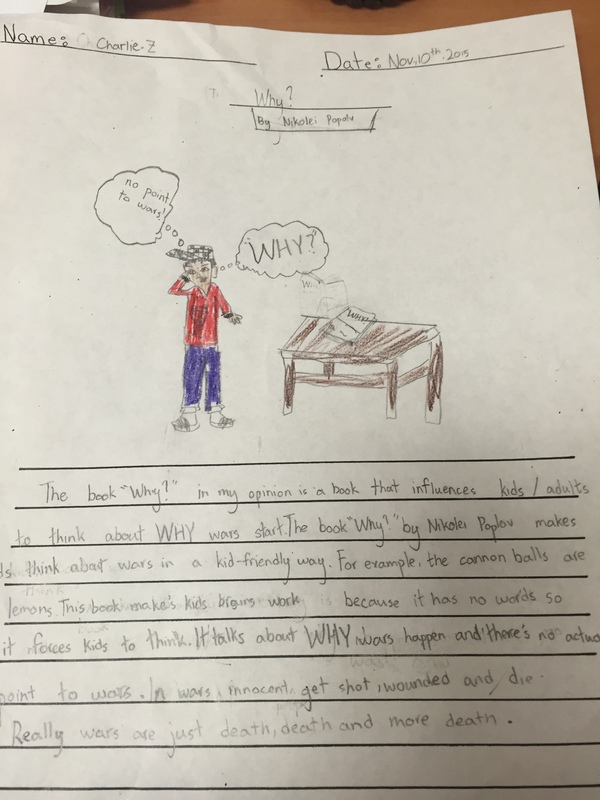 See Charlie’s work below. Next week we will share work of our grade 4/5 students and their Mission Control project, and a time lapse video of our new 3D-printer at work. Stay tuned!